In a case of first impression, the Massachusetts Appeals Court has held that an award of attorney’s fees under M.G.L. c. 93A (the Massachusetts Consumer Protection Act) may include compensation for the legal work performed by in-house counsel. The genesis of the case involved a typically convoluted business transaction whereby the Omniglow Corporation, a manufacturer of luminescent products, was effectively split into two companies that then maintained active business dealings with one another. While a company now known as Cyalume Technologies purchased the profitable segments of Omniglow, the remaining segments continued to operate under the Omniglow name. The two entities entered into a series of contracts, but the relationship quickly deteriorated. Omniglow then sued Cyalume and prevailed at trial on claims for breaches of contract, conversion, and violations of Chapter 93A. Pursuant to Chapter 93A, the trial judge awarded attorney’s fees to Omniglow for the legal work performed not only by its outside counsel but also by its in-house counsel. Cyalume appealed, arguing that no legal fees were “incurred” on account of the work of the in-house counsel, a salaried employee, because he did not bill Omniglow for his services. A three-judge panel of the Massachusetts Appeals Court affirmed. The court first held that the trial judge’s finding of a Chapter 93A violation was appropriate based on Cyalume’s egregious pattern of conduct in disregarding Omniglow’s contractual rights and undermining its business interests. The court then affirmed the award of attorney’s fees primarily on the grounds of fairness and public policy. From a practical perspective, the court noted that Omniglow “incurred” costs because the time Omniglow’s in-house counsel spent on the Cyalume litigation directly impeded him from spending time on other legal matters facing Omniglow. 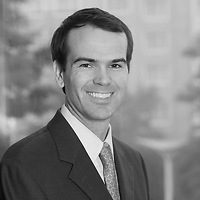 The court also reasoned that denying attorney’s fees because Omniglow chose to use its own in-house counsel in a lead role instead of additional outside counsel resources would undercut the deterrent purposes of Chapter 93A, and that permitting recovery of attorney’s fees for work of in-house counsel furthered the broad remedial purpose of Chapter 93A. The court further found no abuse of discretion in the amount of the award, despite reservations with the documentation provided in support of the fee request. In-house counsel had provided a post-trial re-creation of the time spent on the case by month with a brief description of services provided. The court noted that better practice would have been to keep contemporaneous time records, but the failure to provide them was not an insurmountable impediment to the award, particularly given the trial judge’s first-hand knowledge of the case. Thus, the court affirmed the judgment. This decision is welcome news for businesses that rely on in-house counsel during litigation, because whether the prevailing party in a Chapter 93A case can recover attorney’s fees for time and effort of in-house counsel has long been in doubt. The Appeals Court’s opinion suggests that businesses that prevail in Chapter 93 lawsuits should always request attorney’s fees for in-house counsel and take steps to maximize potential recovery. This includes having a system in place whereby in-house counsel keeps contemporaneous time records at the outset of any matter that may go to trial. While these records likely need not be painstakingly detailed or broken down by the tenth of an hour, some amount of specificity will aid in recovery. The lack of specificity in this case appears to have been overcome in many respects by the “egregious” and “sinister” conduct of the defendant resulting in the findings. Further, what remains to be seen is whether Massachusetts courts will limit this holding to Chapter 93A cases for public policy reasons, or whether a plaintiff could seek a similar recovery in any action in which the judge awards attorney’s fees. This article was prepared by Christopher H. Lindstrom and Robin Morse, members of the Litigation Department at Nutter McClennen & Fish LLP. For more information, please contact Robin, Christopher, or your Nutter attorney at 617.439.2000. This article is for information purposes only and should not be construed as legal advice on any specific facts or circumstances. Under the rules of the Supreme Judicial Court of Massachusetts, this material may be considered as advertising.